One of my favorite stores to shop is Aldi. We're coming up on Mother's Day and I recently remembered I grew up shopping here with my mom. The only thing that I knew is that Aldi carried items that were somewhat less expensive than other grocery stores. When I left home to attend college, I was so excited when I noticed an Aldi in my new city! I resumed shopping there and have done so ever since. Check out their site to see if there is a location near you. Give them a test run and see if you like it. 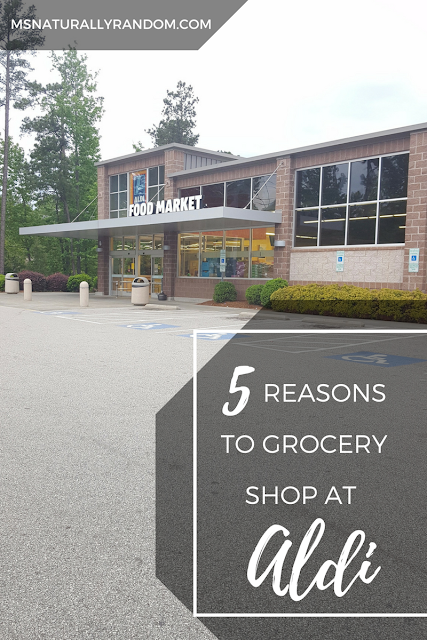 Here are a few reasons I (almost exclusively) shop at Aldi! #1 Price! | They keep their prices low by saving money things like having customer bring their own shopping bags. This is economical on their part and eco-friendly. Other stores are going “green” in recent years and offering reusable bags. Aldi has had this has been in place since I was a small child. They only have about 3 – 4 employees there per shift and I’ve never had an issue with customer service, all are friendly and attentive. They also save money on replacing carts by having a shopping cart rental system. All the carts cost a quarter and you get your quarter back once finished shopping. #2 Stock Up Items! | I get all sorts of things from here. If my pantry was more organized, I’d share a picture and you’d notice almost every product is from Aldi. Weekly I pick up dried spices, condiments, canned goods, breads, rice, oatmeal, dry pastas and prepared sauces. I even get our snacks from there as well. #3 Selection | They offer health-conscious lines like FitNActive and SimplyNature. These items have been a great benefit to my “plus-sized” household. We don’t always eat great but we’re making better choices (at a price we can afford) thanks to Aldi. If you’re concerned about things like sodium content, caloric intake, artificial sugars, etc. They even carry a gluten free line called liveGfree for those with sensitivities to gluten. 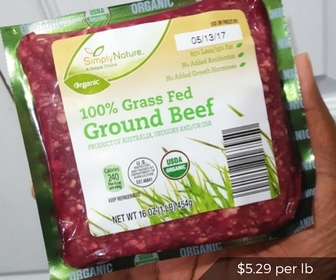 #4 Special Buys and Specialty Products | Just like most other grocers, they carry their own private label products. I’ve found them to be comparable to the name brands. I mean, a can of tomato paste is a can tomato paste, right?! I also like their premium gourmet black label brand called Specially Selected. There is always something new! At times, tons of gourmet cheeses, salad dressings, chips and coffee. The quality of the items reminds me of another little store…rhymes with Jrader Toe’s! In the US stores, these items are supplied “while quantities last”. You’ll even find some name brand products from time to time, like Tide Detergent, Always Pads, Dove Soap and McCormick. Wondering what you can make for dinner from an ALDI shopping trip? #5 Wide Selection of Produce | This is the one area where I get some of my items elsewhere…although a lot of the produce is good, a lot of it is prepackaged. The prices and quantities are set. They even have an organic section. But back to this "pre-packaging"...It’s only three people in my household. Sometimes I don’t need a BIG BAG of apples or onions, just 2 or 3. So, I like to pick things up from the farmer’s market or another grocer from time to time. Although Aldi is not one-stop shopping, you can get pretty much all your basic items from this store (as I do!) If you’re looking for something you’d like on the international aisle, you generally will not find it here. 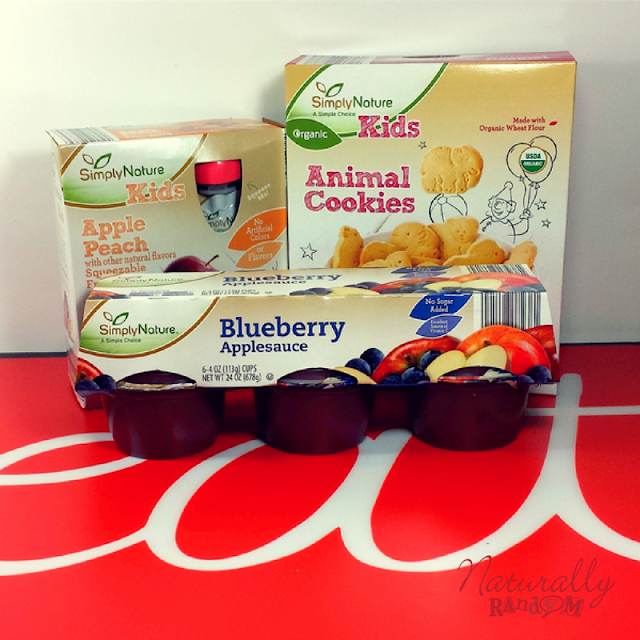 All in all, from their frozen foods, to dairy, pantry staples and baked goods, the selection is quite incredible. I’ve gotten tons of “What’s For Dinner” post inspiration by just considering deals found in Aldi’s. Stay organized for your next shopping trip by using my FREE meal planner and shopping list printable, so you can make meal planning easier. Brought to by #KitchenRandom!